The “Free Range Texan” podcast, hosted by veteran broadcaster “Michael Shawn” reveals the world view of a native West Texan, willing to share the products and food made famous by the cowboy lifestyle. Our “Heros and Heroines” File, “Unexplained Files”, feature true life stories and interviews about real people facing and overcoming the odds in today’s world. 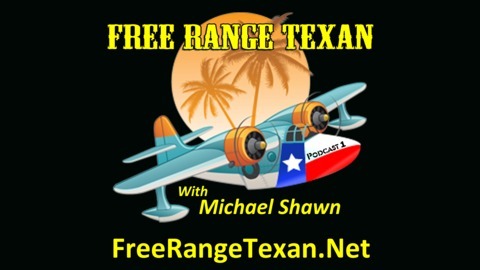 Most of our “Free Range Texan” podcasts include a trip to “Michael Shawn’s Campfire” where there are true stories, tall tales and campfire visits that are a warm and rich experience. “Free Range Texan” is appropriate for all ages, but its consistent target is males and females 35 years plus. The “Free Range Texan” podcast, hosted by veteran broadcaster “Michael Shawn” reveals the world view of a native West Texan, willing to share the products and food made famous by the cowboy lifestyle. Our “Heros and Heroines” File, “Unexplained Files”, feature true life stories and interviews about real people facing and overcoming the odds in today’s world. 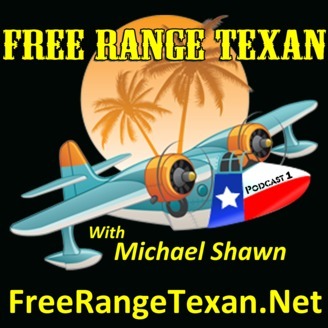 Most of our “Free Range Texan” podcasts include a trip to “Michael Shawn’s Campfire” where there are true stories, tall tales and campfire visits that are a warm and rich experience. “Free Range Texan” is appropriate for all ages, but its consistent target is males and females 30 to 65.